If you’re interested in growing your business and have been looking for a solution for any amount of time, you’ve most likely heard somebody drop the “F-bomb”. All kidding aside, if you aren’t using lead generation and sales funnels in your marketing – you’re throwing out a lot of time, energy and resources in your marketing efforts that most likely isn’t giving your much of a return on your investment … am I right? 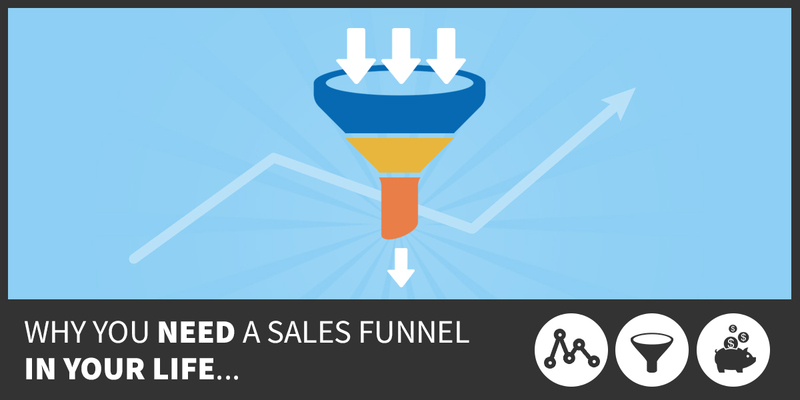 A funnel (aka marketing funnel, lead generation funnel, sales funnel, etc.) is nothing more than a graphical representation of the customer lifecycle as a customer travels from prospect to lead to customer in your business. What Does a Funnel Look Like? 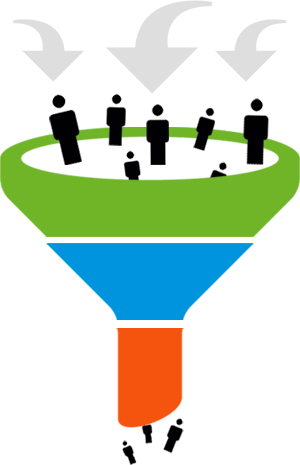 Funnels can be laid out vertically like a traditional funnel with prospects entering at the top and customers coming out the bottom or they can be laid out horizontally with prospect entering the funnel on the left and customers popping out on the right. Whichever option you prefer … both will allow you to track your visitors journey. ALL GOOD MARKETING IS DATA DRIVEN! Gut feelings are great for choosing who to date or what lunch special you’d like to try today but for marketing … we want to make marketing decisions on actual, real-life data. Statistically speaking – only 2-3% of people that visit your website will ever buy from you. If you run a retail location that mean that for every 100 people that walk in your front door – more than 97% of them will continue to walk out without breaking out their wallet. I don’t know about you but for me … that is totally unacceptable. I’m going to market and advertise to get 100 people into my store and only two will buy? HORRIBLE. The problem is .. without a funnel in place where we are gauging the customers interest along the way, we have no way of knowing why the 97% of the people won’t buy. Maybe they’re just tire kickers. Maybe they didn’t like my prices. Nobody really knows for sure so any changes we make to our marketing strategy are going to be guesses based on gut feelings and nothing more. That is NOT the way we want to run a professional business. Now let’s take a look at life with a “general” marketing funnel and see what we can learn. Seems like a pretty good plan because as a pool supply company (or any other company as far as that goes) the hardest part is landing the new customer – once you have them you can always upsell and cross-sell them with additional/related products and services and just generally win them over with your spectacular customer service. 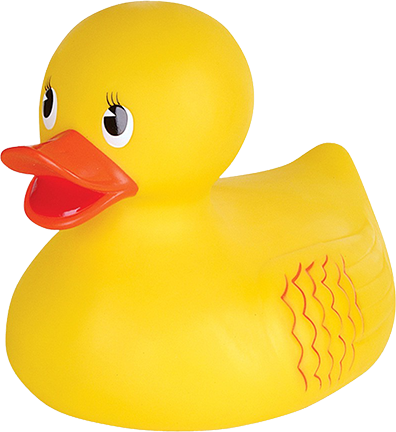 Step 5: Customer completes the purchase and goes home to inflate their ridiculously oversized rubber duck. To understand the magic of the sales funnel we aren’t going to look at the actual steps, we’re going to look at the gaps between the steps because this is where the customer is making their decisions. This is where they are deciding if they are going to continue the relationship. Here we still have the same 2% conversion rate from prospect in step 1 to customer in step 5 but now we have more data to understand what is happening in their heads. 90% of the people that came in the door looked at the giant rubber duck display. That’s great! So it would appear the Giant Rubber Duck in the front of the store is doing a good job of gathering attention. Only 10 out of 90 people that saw the display actually put one of the products in their cart. This could be an indication that there is a disconnect between the user liking the product and wanting to purchase the product. The price could be too high. The quality may be low. Obviously if they’re in our store we can just ask them about it but even if we’re online only – this gives us two different options to test. Test 1: Lower the price and see if you can get more people to purchase. Test 2: Order a similar product from a different manufacturer and see if you can find one of better quality. Of the 10 people that put it into their cart … only 4 actually made it to the checkout line with it. Again, if it is a physical store you can just keep and eye out ad ask users. If not, we can come up with some additional things to test based on the reasons people would put something back after adding it to their cart. So you see by having your funnel steps clearly identified, as long as you are tracking your numbers, your funnels (and sales), should always be increasing because there will always be additional items for you to test. The really cool part is … when you track your data like this – there is no such thing as throwing marketing dollars away. Everything you do is a trackable test – your conversions either get better or worse and when you test one thing at a time – you know exactly what made the difference. I’d love to know if you are already using sales funnels or marketing funnels in your business. Use the comments below and let me know if you’re currently using funnels and how they are working for you.